When Felipe Miranda started his global one-year MBA at Hult International Business School in 2014, he never predicted that the experience would lead him to start his own social entrepreneurship. Hult has a strong reputation for being on the cutting-edge of business technology—students can take electives in digital disruption, focusing on AI, blockchain, and even drones. However, students are also being taught that business can go hand-in-hand with social good—a new perspective for Felipe. 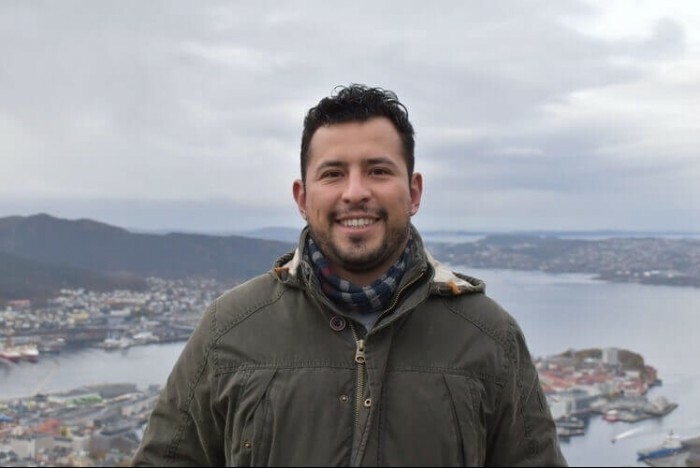 Felipe chose Hult for its innovative curriculum focused on digital technology and, thanks to Hult’s six-campus model, got the chance to spend the duration of his MBA in San Francisco, choosing not to ‘rotate’ to other Hult campuses. Little did Felipe know that it would be his social impact electives that would drive him to start his own company. "I never knew that you could do good and make profits—I'm very glad that I learned that." During his MBA from Hult International Business School in San Francisco, Felipe had the opportunity to participate in the Hult Impact Challenge—an experience that truly made him rethink entrepreneurship. The project, which students in San Francisco participate in at the end of their MBA degree, gives students the option to choose three different ‘tracks’, corporate, entrepreneurship, or social entrepreneurship, and then work on a real-life project. Felipe and his team chose the social entrepreneurship track, which, Felipe says, “opened my mind to the fact that businesses not only have to be profitable, but they have to give back to their communities. Felipe admits that he “never thought I would do a social startup,” but that’s exactly what he did in 2017, after moving to London. His business, Infinity Trend, is an online platform that brings together ethical and eco-friendly brands in one place, so consumers have one marketplace for green products. He says the idea came about after an impromptu shopping trip. “I wanted to buy a t-shirt, and some friends told me about a shop that was really cheap,” he explains. Without Hult, Felipe says, it’s unlikely that Infinity Trend would have been created. “Before my MBA at Hult, I never thought that social businesses could make money—for me, a social business meant an NGO,” he says. “But Hult showed me the opposite, that businesses can be profitable and do social good." Not one to shy from a challenge, Felipe is now setting his sights on his other passion, technology, by launching Tribaly, a community commerce platform with an innovative business model that cuts out the middleman. "We are bringing communities together so they can discover new and exciting products and buy directly from the maker at a discounted price," Felipe explains. Now busy with two startups, how does Felipe look back on his MBA experience at Hult International Business School? “The whole program was quite intense but you have moments and memories that will last all your life—it’s a once in a lifetime experience,” he says.